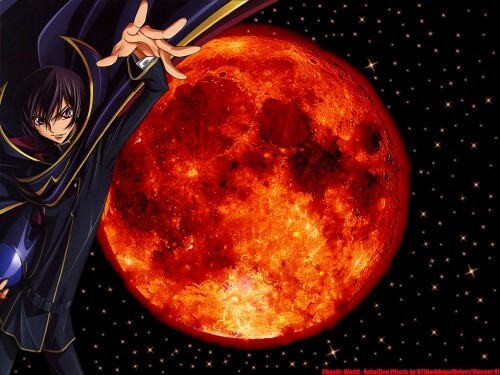 3rd seriously attempted wallpaper.Made it after watching the fourth episode of Code Geass R2. This one composes of 8 layers : Background layer,character layer,character shadow layer,2 adjustment layer(Color balance and Contrast),stars layer,second planet layer,text layer. now this is a good piece.. The scan that you use is a good one partner for the background ^^ and black and red really contrast each other.. The world in red really fits the scan. the stars i'm not so sure about them, but anyway it still looks good.